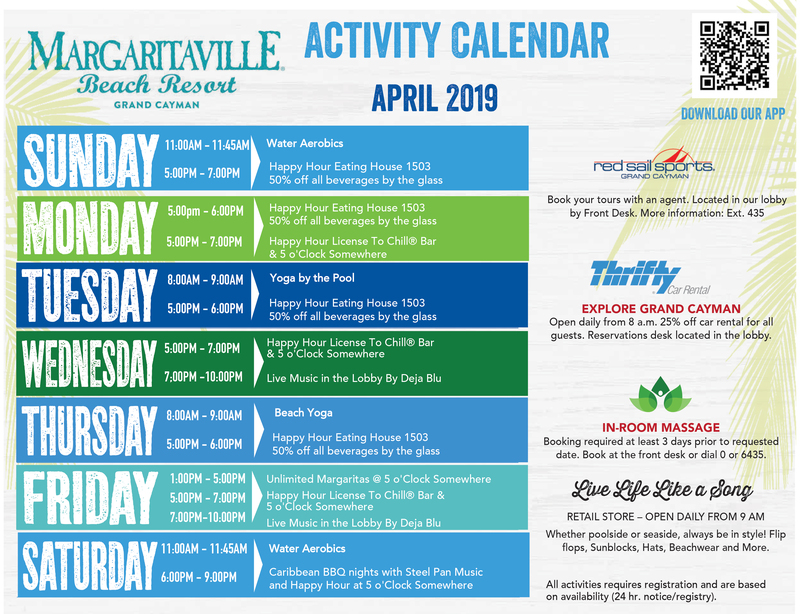 Margaritaville Beach Resort Grand Cayman is the ultimate hub for the island’s entertainment. Featuring talented local acts, the resort is home to live bands such as Dr. Bob’s Experiment. 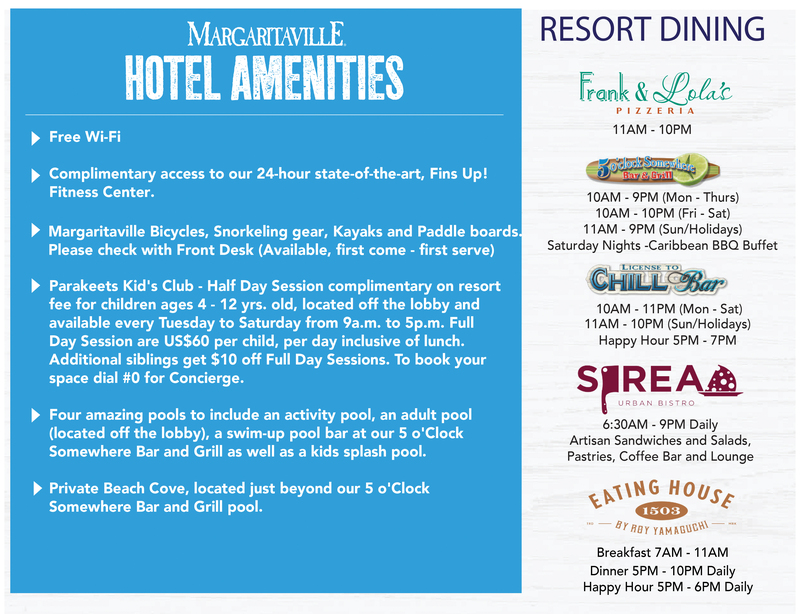 Resort guests and locals alike can enjoy a variety of musical stylings including Rock, Country, Reggae, Latin and more! Live entertainment is free to all.